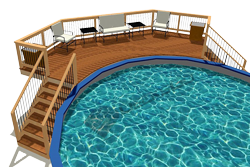 Deck with Precast Concrete Decking - An Option? 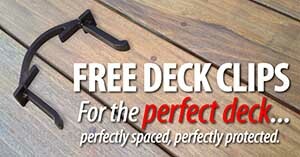 We have a 12x25 pressure treated wood deck that is about 10-15 years old. The boards are rotting and we must replace it. We have a very limited budget, but don't want to take the cheap way out and re-do it with the same pressure treated junk the previous owners used. My husband, many many years ago, was a mason and he suggested that we do it in brick and I'd LOVE to, but I'm afraid to even think of the cost. Do you have any suggestions or ideas for us?? Any good suggestions of where we'd be able to get a good price on brick? The good thing is that my husband could do all the work himself and save us a ton of money. Our home is red brick, so this would look beautiful. 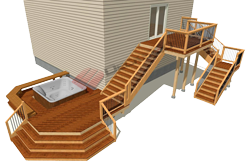 The other thing is that we'd definitely need a railing because we have 2 small children who would be out playing on this porch/deck. I haven't been able to find any good photos online to get any ideas. Would you by any chance have any websites or online photos we could look at? I also would like him to build us a brick mailbox at the end of our driveway,but he keeps telling me he needs pictures. HELP. Any suggestions are greatly appreciated. 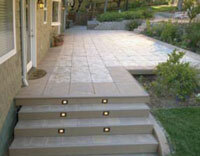 Typical concrete patio stones are not designed for any kind of tensile load. They are only designed for compression when the stone is supported evenly underneath it. There is no reinforcing steel and so I am afraid if you span a 24"x24" patio stone it can easily crack and break. It definitely needs some support directly underneath it. That is probably why you see most specialized stones are 12"x12" for this purpose and they may be engineered to handle the common loads for a deck application. Just be cautious as you try to save money. I am considering the exact same thing, - placing patio stones on an existing wood frame. However I am considering not using the deck stone product because of cost. I can purchase regular stones at a much cheaper price. My concern is, what is the average weight that a patio stone can hold without cracking? My deck is approx 24" off the ground! Building a brick deck to replace an old pressure treated deck is intriguing but raises many more questions than I will probably be able to answer in a short and concise response. Let's start with the first option - tearing down the whole structure. This is more like a landscaping rebuild where you would probably build a foundation or some kind of retaining wall out of landcaping bricks. Then you would back fill the void, soak with water and compact very well. Then apply a layer of stone dust and install interlocking bricks or stones. This will be your most expensive option even if your husband can do most of the work himself. It will also require renting excavating equipment. Its all possible though. 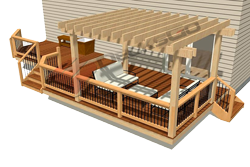 The second option uses the existing deck framing and support structure. Heres something I saw at this years Deck Expo in Orlando. (www.deckstone.com). It creates a really nice finished look and does not require any mortar. 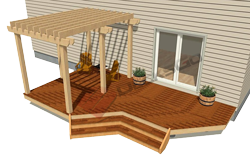 But you will have to take a close look at your existing framing structure of your deck and may have to modify it somewhat to accommodate the 12x12 stones. They are very strong. This option will work off your existing infrastructure so should be fairly affordable. If done right this should be a long, long term solution. 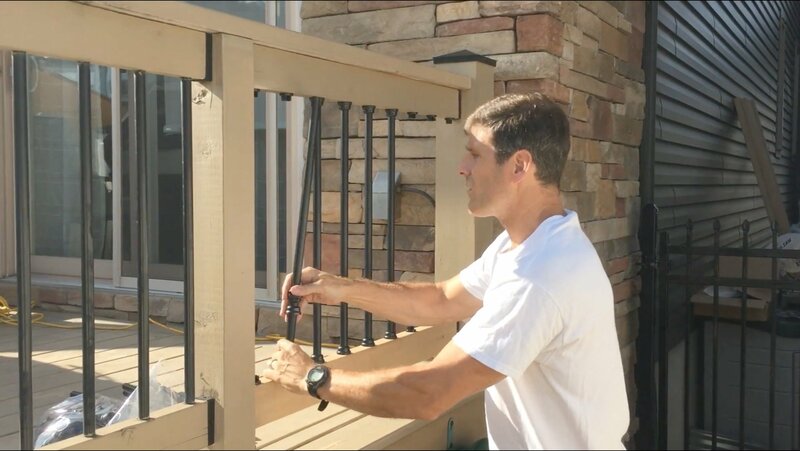 Keep in mind that for railings, you will have to plan where you expect posts to go and either notch them into the framing in advance or use a surface mounting connector or attach to the rim joist. The second idea is a bit more work but looks good and performs well. 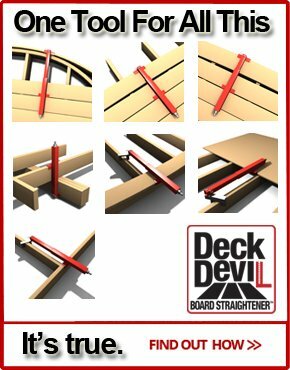 Use the existing deck framing but remove the deck boards. Then install 5/8" or 3/4" Tongue and Groove flooring plywood. Glue and screw. 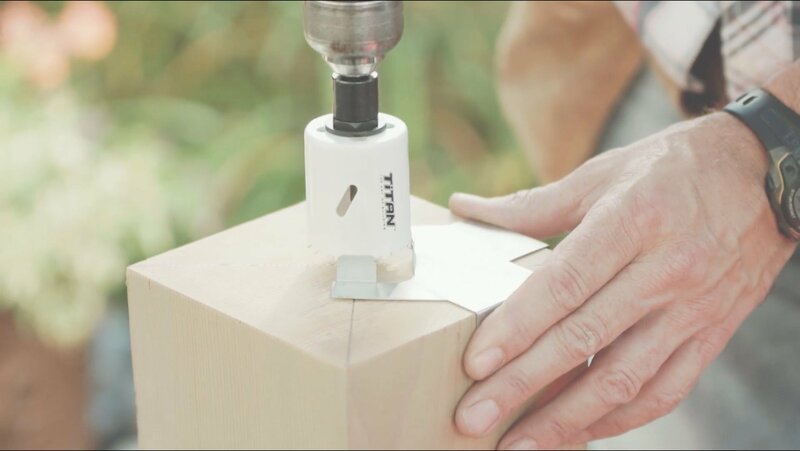 Grind smooth all joints between plywood. 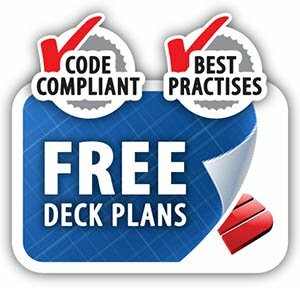 Install galvanized steel drip edge around the perimeter of the deck. Apply cement flooring leveler compound over all joints and drip edge so its all level and smooth. 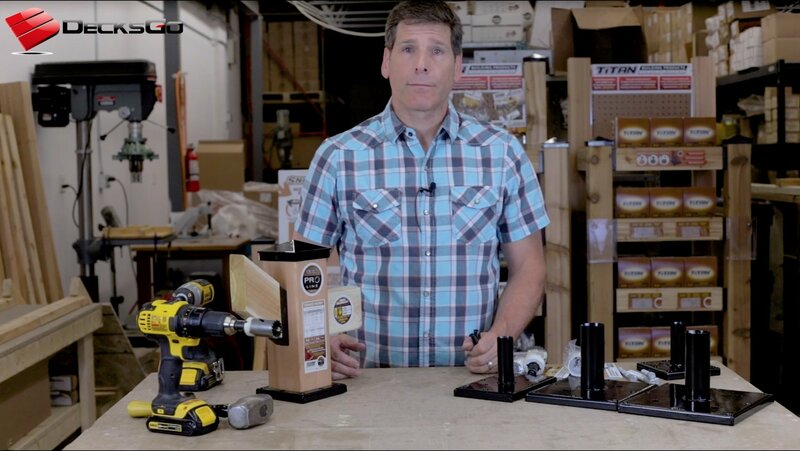 Make sure all screw heads and metal drip edges are flat and smooth. 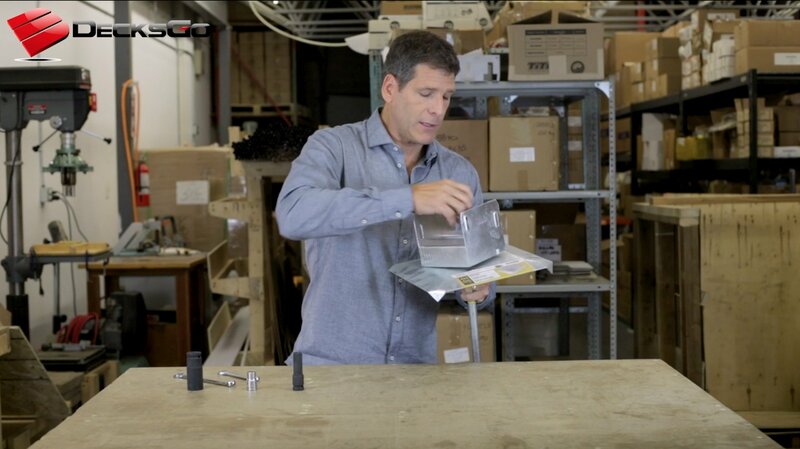 Next is an epdm rubber membrane that lays (no glue required) over top. EPDM rubber is not cheap. But for this option is required. Next create a mortar base for stone or brick flooring tiles. The mortar has to be suitable for the weather - not a problem for most. You could also press the shapes of the stones into the cement and add pigment for appropriate color. 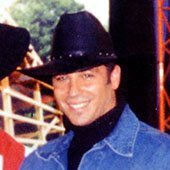 So I hope these comments help you out and also any other visitors considering with this same question.